Jenn & I have been married for over 8 years years and few years ago we were on a journey to start a family. But our story isn’t the same as most of our friends because we chose adoption. They say if you want kids, then get a plant first, if that doesn’t die then get a pet. If that makes it then maybe you are ready to have kids. We took that advice and started with a great cast of characters that have fully enriched our lives. Toonces (The Driving Cat) is our neighborhood adopted stray who goes from house to house to get food and shelter. We all call him by a different name and after 3 years of secretly feeding him, all of the neighbors have started to admit that they do too. Although I think he likes Jenn & I best. Then came Axelle…our Foreign Exchange Student from France. There is nothing like going from 0 kids to a teenager overnight. She has helped prepare us in our journey and has provided many stories and laughs. Not sure where we would have been without her. Next was Pancake (named by Axelle because it was her favorite food). He was the dog that wandered into a classroom at Jenn’s school with a broken leg after being hit by a car. Yep, he joined the family too. 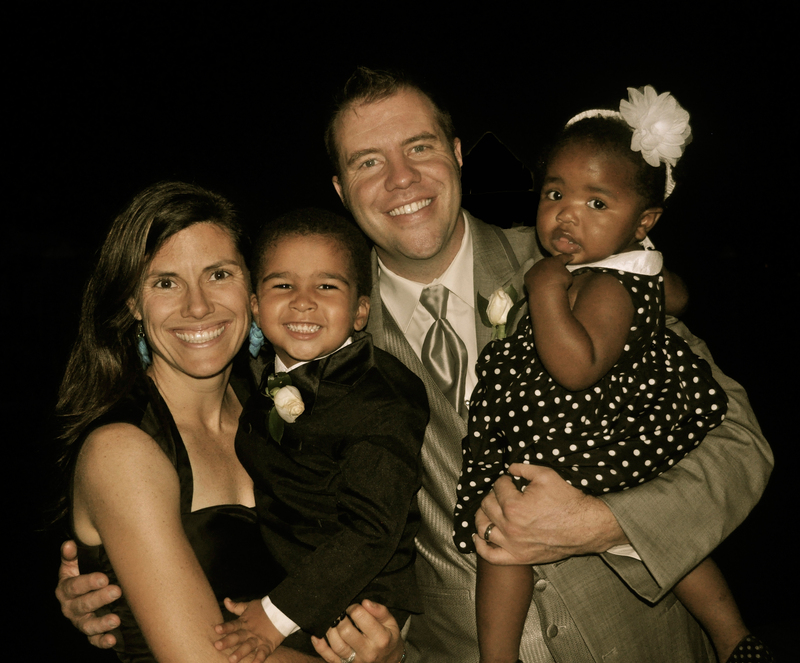 In 2010 we were blessed to introduce Nolin, our son. This blog was unknowingly started the day he was born and we loved him immediately. I originally started documenting our story so that I could always look back at these days and remember just how lucky we are. They say lightening doesn’t strike twice, but in our case it did. In September 2013, there was a slight plot twist as we began the sequel to our family story when Grace completed our cast of characters. Once again the love was instant and we would quickly discover the true meaning of beauty and grace. Throughout the years we have welcomed new members to our family and unfortunately had to say goodbye to others. Each member of our family has come from somewhere different and brought so much to our lives. I like to say that they chose us, but either way I hope you enjoy reading about Our Modern Family! It was so nice to read all about your adventures so far with your new little bundle of joy! I am so glad we were able to meet him. We are all so happy and excited for you all. Thank you for including us in this new journey with you! Talk to you soon! What a wonderful blog! So good to see and hear about your lives! Scott and I (and Campbell and Jackson the dog) are so happy for you! All the best!